The time is ‘write’ now! I set myself some BIG creative goals this year, one to become a published picture book author! So on International Women’s Day its a good time to remind ourselves that we CAN achieve our dreams if we follow our heARTs and surround ourselves with a supportive Squad or Tribe! The time is ‘write’ now for me to take the plunge to becoming an author/illustrator — as I have just submitted my very first kids picture book manuscript to publishers around the world! I have been writing my kids picture books about the wonders of our underwater world (based on marine science-art) for many years but have never had the courage or Tribe around me to dive in! NOW I DO! I know the rejection rate for kids picture books is very high but I’m ready ‘write’ now for the challenge! So look out picture book world Dr Suzie Starfish (my alter ego) is going to make a splash in the world of kids literature with her fishy tales (…fish tails that is)! A very special thank you to my amazing mentor Michelle Worthington, international award winning children’s author and Director of Share your Story, who has inspired and supported me in my picture book journey. So ‘write’ now let’s celebrate all of those people, women and creative companions (ie. my furry kids) that support us in following our dreams! 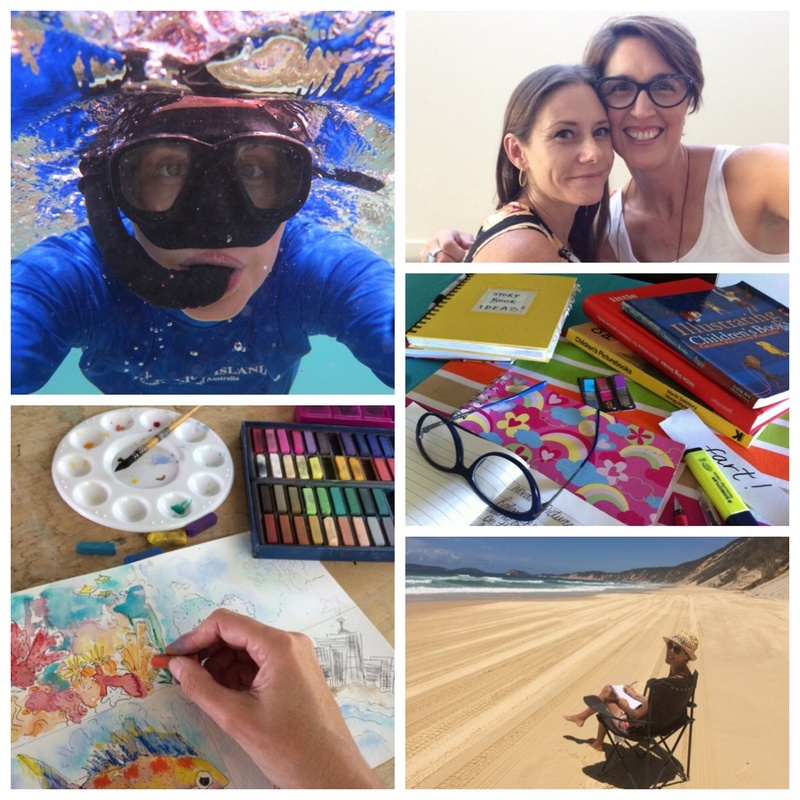 You can follow my creative journey as my alter ego Dr Suzie Starfish (https://www.facebook.com/drsuziestarfish/) and @suepillans on Twitter and Instagram. ← Turning Ocean Science into Art!